Save your gained results which can be difficult to achieve at the gym, don’t choose a diet if you do not know what shoukd you eat. Losing your body fat once and for all can be accomplished by proper nutrition. At the end of the day, if you eat more calories than you burn, you will get fat (fatty deposits). So you have to burn more calories than you enter. Good thing about diet is that you can control the amount of calories you enter. So calculate your consumed and burned calories per day, and make some balance. Consume calories in small portions by comparing with what you can burn in daily activities, so there will be no need for additional cardio activities that are not so popular among bodybuilders. Consume five to six small but well-balanced meals, in distance of three to four hours. Not all kinds of meat have equal value for bodybuilding. The most optimal choice would be steamed chicken breast. Inproper eating time or no eating in general is equally bad as overeating. Calorie intake of proteins should be 50%, carbohydrates 40%, and fat 10%. Muscle fiber is constructed from densely connected protein molecules damaged during training. 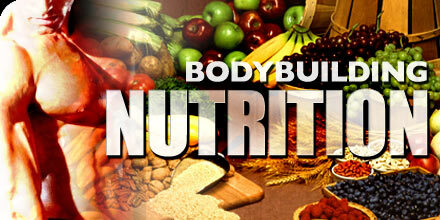 Unlike people who are not training, bodybuilders need more protein to ensure muscle recovery and muscle tissue growth. Try to avoid simple sugars like cane sugar, syrups. Do not eat sweets and farinaceous food before training. They rise insulin level and cause immediate spurt, which ends much earlier than you get to the gym. Drinking about 3-4 liters of water per day will help ejecting toxins from the body. Without proper diet, you cannot achieve a competitive edge and obtain the definition and size you desire. 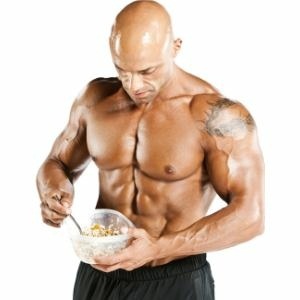 Improper nutrition for bodybuilding is the main reason why bodybuilders can not gain better results. It takes 70% nutrition, 20% proper exercise and 10% are presented by your willingness for a perfect body. So make a simple rule to eat proper and you will be able to train better and then you will gain better results for sure. Keep On Rocking!